We have received requests from the field regarding the operation of the MODSTAT for applications with Auxiliary Heat or REHEAT. To address these questions, this product bulletin provides operational details to address this issue. MODSTAT operation for heating in system with primary heating source integrated into the HVAC unit will use AUX heating as a supplemental heat source. 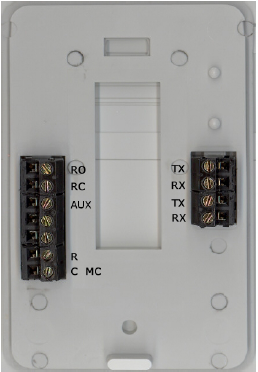 When room temperature falls 1° below heat set point, the MODSTAT will send a call for heat to Zonex controller. System controller will place the call to the unit to energize primary unit heating. If the room temperature continues to fall, when temperature is 2° below set point, AUX output will energize to provide supplemental auxiliary heat to the room. NOTE: The AUX output is a pilot duty relay; installation will require isolation relay to drive the AUX/Supplemental heating device. AUX First – Some applications desire AUX heating before the system energizes primary unit heating. Zonex has the solution for these applications. Simply request that thermostats are programmed for Auxiliary first operations; AUX will then energize at 1° below heat set point, and primary unit heating will energize 2° below heating set point. For REHEAT operations, configure at the MODSTAT. To do this, installer will need to simultaneously press and hold both HEAT/COOL button and SELECT button, then press MENU button, releasing all three at the same time. You will know that the MODSTAT is configured for REHEAT when the ° symbol is present next to Heat/Cool set point display. It is important to note that a field supplied air proving switch is needed for REHEAT applications. In reheat operations, MODSTAT will call for REHEAT when room temperature falls 1° below room temperature. MODSTAT will modulate supply damper to 40% to provide air flow, and then energize AUX output. AUX output will pass through air proving switch; if switch is closed, the control relay will energize and heating will energize. AUX terminal will remain energized until room temperature rises to heat set point. 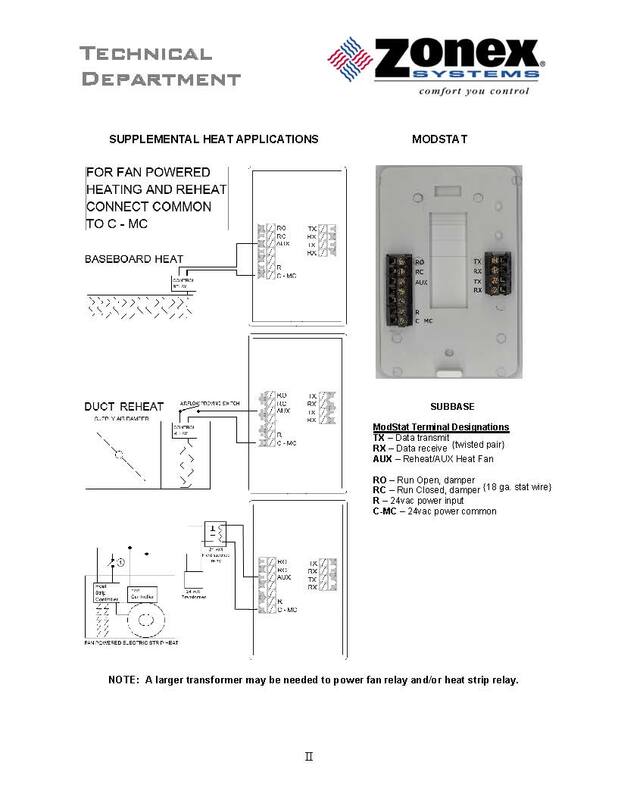 If REHEAT is using FAN POWERED REHEAT Box, AUX output will energize relay enabling fan and heat strips to operate based on fan powered box controls. AUX terminal will remain energized until room temperature reaches heat set point.